This unique and comprehensive home staging training program consists of (9) 45-90 minute webinars, assigned homework, hands-on projects along with field training. You can learn at your own pace. We will guide and instruct you while you implement what you have learned during the webinar series. After completing the webinars, assignments, hands-on and test you will receive your certification, emblems along with industry memberships associated with the Home Staging program. Learn about Gold, Silver, Mining Stocks, and much more. Get a financial education that you missed out on in school. Investing in Gold and Silver and Why This is Important for the Upcoming Global Wealth Transfer. Many world economies and currencies are collapsing, yet many people still fail to realize what is happening. The majority of schools in America do not provide enough financial education to be valuable and make a difference for the longevity of a student’s life. Many experts along with myself realize the current monetary system is dying and is only being saved by emergency measures put in motion during the 2008 crisis. This old system will eventually be allowed to fail in the near future and only those to own real tangible assets like gold and silver will be protected. Individuals who wish to be part of this group and learn how to increase their net worth will benefit greatly from this course. In this course you will learn why people all over the globe remain in poverty and how you can begin to overcome this challenge. You will also learn to correctly position yourself into the right asset classes that stand to gain the most. The Stock Market, Current Financial System, Banking, Money, and Currency History. Investing in gold and silver is only part of an overall strategy to build wealth. Becoming financially literate is also essential if a person wishes to truly benefit from the next wealth transfer. For example, many investors still function under the belief the stock market equals wealth, yet this truly isn’t the case, and the course explains why. It goes on to provide information on currency exchanges and how money is created while explaining the differences between the two. 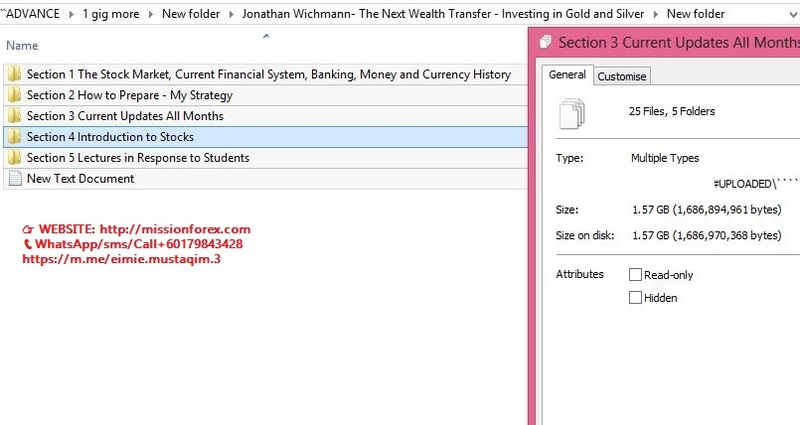 Students learn who currently owns the financial system and whether gold and silver are money, as this information is of great importance when they go to make an investment of any type. Details are provided when it comes to trading the wealth transfer, along with actionable steps participants can use right away. The course instructor offers information on their current strategy or the base of the pyramid. Information on mining stocks is provided along with details on basic technical analysis. Furthermore, students learn how to place a basic call option order, which is an essential part of any investment strategy. The market is continually changing, thus investors need to follow the news to understand what is happening with their money and economies across the globe. A good example of this is the Brexit. How is this going to affect stock markets around the world and what will it mean for different currencies? As economies constantly fluctuate, updates are essential, and they are included in this course at no additional charge. Every student will be able to monitor these updates, even after they have finished the initial training, because a person’s wealth follows them for a lifetime. The course needs to as well. Students often ask questions that lead to new lectures, as they wish to have this information to beef up their financial education. The course takes some of these questions and provides the desired answers. For example, a question was asked at one time as to why the Fed doesn’t want to raise interest rates, and a lecture was developed as a result. Furthermore, visual presentations have been created, as requested by students, to show how dollars chase assets and the case for gold and silver.